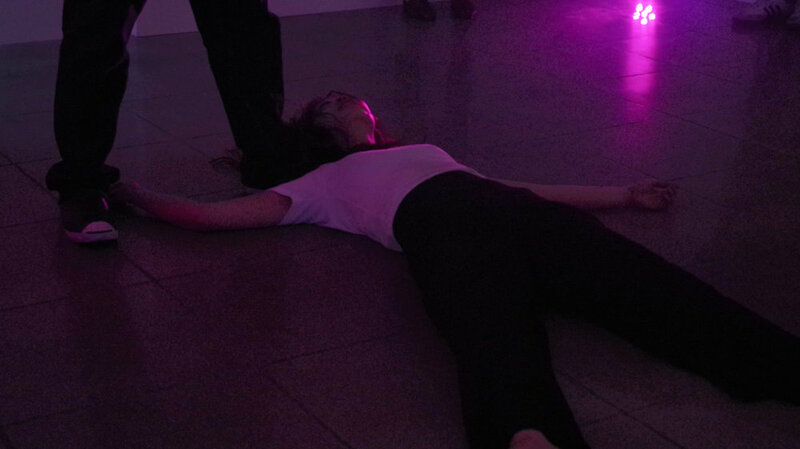 Afterlight was a collaboration with painter Virginia Broersma which consisted of a painting-video installation paired with four live movement-based performances which lasted each 30 minutes. By using various mediums (painting, video, live performance) that 'remain' in our memories differently, the work aimed to remember forgotten and invisible bodies through ideas of ephemerality and permanence. The work was expanded by a wall-poem by LA-based curator and writer Virginia Arce and documented through video and photography by LA-based artist Christian Alvarez. It was presented at the Latin American Museum of Art. 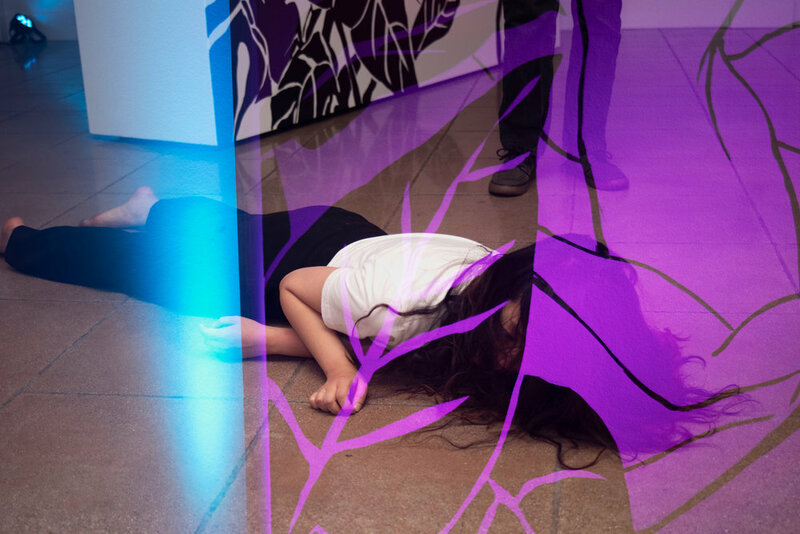 Interested in the human body as a site where power is contested and negotiated, Broersma and I created an artistic reassessment of the body with regards to issues of historiography, gender, and visibility politics. The installation used three moving walls which were painted by Broersma presenting the most tangible and still layer of this work. The walls were projected by a 3-channel video with bodies moving in and out of the frame exploring notions of visibility and invisibility. Each of the projected bodies moved in different slow-motion tempi suggesting temporal elasticities of time. 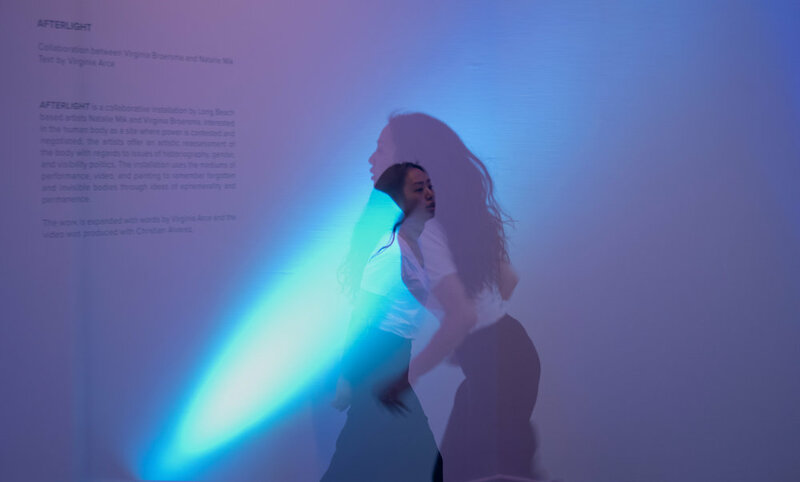 A final layer of time and space was added through a live performance which presented a half choreography-led dance that used movements, gestures and postures depicting a body at a vanishing point of history. The impetus and theme of my choreography was MOLAA's first solo exhibition of a female Chicano artist and activist named Judith Hernandez, who has been painting portraits of murdered female factory workers that used to work alongside the US-Mexican border. 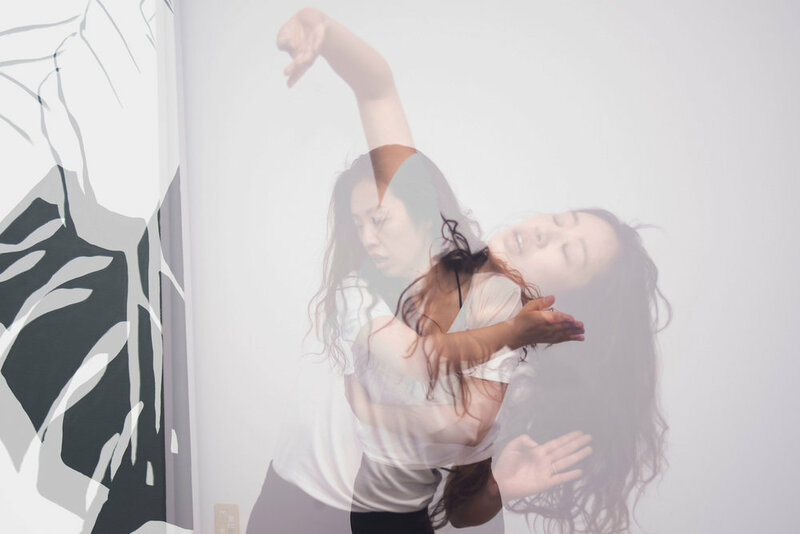 Just like the painted portraits commemorate the forgotten victims and act as a project of activism, my dance mourned these young women and aimed to create an embodied document of their legacy.